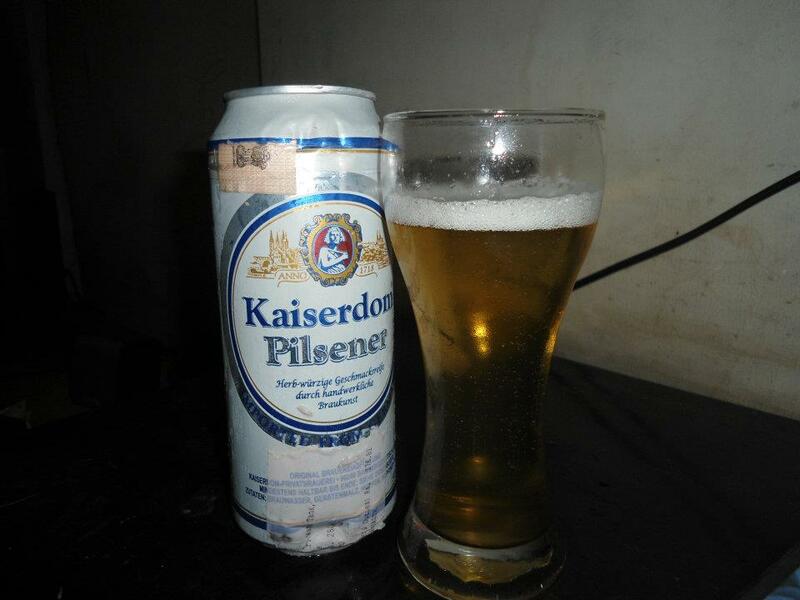 Beer Review: Kaiserdom Pilsener | Mehta Kya Kehta? Even with my limited experience in German beer, I wouldn’t call the Kaiserdom Pilsener a supreme lager; definitely not by German standards. On its own, however, it’s an interesting enough drink. Consume it ice cold, and you’ll taste a sharp, characterless bitterness which gives way to a well rounded, sweet, malty flavor with a light hoppy tang at the end. The golden body is paler than you’d expect from a lager and tops itself with a creamy head that would sit very well atop a much darker beer, subsiding quickly and leaving behind a patchy lacing on the glass. This pilsener doesn’t offer much to the nose; smells like grain with a fine balance of malty sweetness and notes of hops. Mildly gassy, it finishes on a bittersweet, malty note. I’d like to buy a couple more of these cans to knock back on a warm summer day along with a plateful of cold-cuts. Don’t expect the same stuff from Kaiserdom Pilsener as say, Erdinger Weissbier, but at 176 Rs. for 500 ml, it’s worth a try if you’re looking to discover something new in the way of an affordable brew. You might not be terribly impressed with this, but you wouldn’t feel ripped off either.